He decided against Frank Gehry, considered Rem Koolhaas and ultimately chose two young architects. Jim Stewart is the most published mathematician since Euclid, a man of unparalleled ambition. He set out to create one of the most renowned pieces of residential architecture in North America and succeeded. Unbeknownst to Jim however, an unexpected turn of events is set to unfold. He chose two young architects that would come to change contemporary architecture. Jim Stewart is the most published mathematician since Euclid, a concert level violinist, calculus professor, philanthropist, and gay rights activist. He is a true polymath, a modern day renaissance man. He had a bold vision and the conviction to follow through. It took almost ten years to realize his dream, Integral House, which was completed in 2009. Designed around a stunning internal concert hall, it was hailed as a masterpiece by some of the greatest architecture and design critics in the world. Integral House, like Jim, was unlike anything else. Now confronting his inability to play violin as arthritis cripples his hands, Jim boldly faces his declining health, jumping head long into the role of impresario. But it would not be so simple. As unexpected events unfold, Jim is left to make some of the most difficult decisions of his life. Having graduated from the University of Guelph with a bachelor in landscape architecture in 2005, Joseph’s film work is deeply inspired by the powerful relationship between individuals and environments. Expanding this field of work in 2011 Joseph graduated from the Ontario College of Art and Design with a masters in fine art bridging the passion for design and landscape with the moving image and story telling. Having produced and directed several music videos, short documentaries and experimental films, his work continues to evolve through the exploration of powerful visual narratives. Sarah Keenlyside is a documentary producer and director, specializing in films about the art, music and design. She is nearing completion of a 1-hour documentary called The Beat Goes On for TVOntario about a concert band for seniors, as well as several short films about public art in Toronto. Sarah has also produced several temporary public art projects, including Douglas Coupland's Museum of the Rapture installation at the 2012 Scotiabank Nuit Blanche, and three other large-scale light, sound and video-based projects of her own. Jackson Parrell has accumulated a massive body of work that ranges from the vibrant and experimental to highly orchestrated and refined. 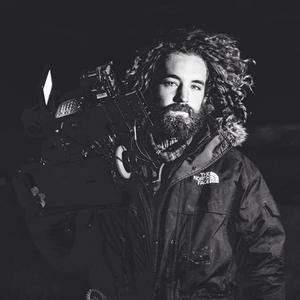 He has quickly become an in-demand cinematographer in both narrative and commercial work. Whether he is mounting a camera on a sky-diver or shooting in an abandoned inner-city home with no access to electricity, Jackson has extensive experience shooting in challenging environments. His work with the Canadian Film Centre, filmmakers, musicians and artists has provided him ample opportunity to demonstrate his highly technical and intuitive knowledge of his craft. Calum J Moore is an English-Canadian film editor working in Toronto. The Short films he has edited have been accepted into Festivals including the Toronto International Film festival, Tribeca Film Festival and The Munich International Film Festival, amongst many others. He recently completed work as series Editor on the Television Show 'One Last Shot', produced by The Bakery & Sportsnet, and is completing studies at Ryerson University’s Film program.